Born in rural western Manitoba, Garth M. Bray obtained his B.Sc. at Brandon College in 1957 and his M.D. at the University of Manitoba is 1961. He then did clinical training in Medicine at the Winnipeg General Hospital and in Neurology and Neuropathology at the Cleveland Metropolitan General Hospital. During a fellowship in Neuropathology with Dr. Betty Q. Banker, he was introduced to the ultrastructure of muscular dystrophy in a mouse model and continued these studies when he returned to the Faculty of Medicine at the University of Manitoba in 1967. In 1969, Dr. Bray was recruited to McGill University and the Montreal General Hospital by Dr. Donald W. Baxter. This transition marked the beginning of more than 30 years of collaboration with Dr. Albert Aguayo and other colleagues in the McGill Centre for Research in Neuroscience where he was able to contribute his electron microscopy experience to studies of peripheral nerve biology and the capacity of the peripheral nerve milieu to promote survival and axonal regrowth of CNS neurons. 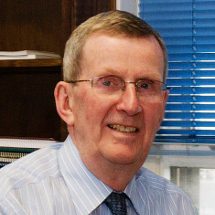 After nearly forty collegiality-filled years in neuroscience research, teaching, clinical neurology and various administrative activities at McGill University, the Montreal General Hospital and beyond, Garth Bray retired in 2007. Since retiring, he has worked with organizations that advocate on behalf of individuals with neurological conditions. He currently chairs two advisory committees for the National Population Health Study of Neurological Conditions that is being carried out by Neurological Health Charities Canada and the Public Health Agency of Canada. Aguayo, A.J., Nair, C.P.V. and Bray, G.M. Peripheral nerve abnormalities in the Riley Day syndrome. Arch. Neurol. 24: l06 ll6, l97l. Aguayo, A.J., Terry, L.C. and Bray, G.M. Spontaneous loss of axons in sympathetic unmyelinated nerve fibers of the rat during development. Brain Res. 54: 360 364, l973. Bray, G.M. and Aguayo, A.J. Regeneration of peripheral unmyelinated nerves. Fate of the axonal sprouts which develop after injury. J. Anat. ll7: 5l7 529, l974. Bray, G.M. and Aguayo, A.J. Quantitative ultrastructural studies of the axon Schwann cell abnormality in spinal nerve roots from dystrophic mice. J. Neuropath. Exp. Neurol. 34: 5l7 530, l975. Aguayo, A.J., Charron, L. and Bray, G.M. Potential of Schwann cells from unmyelinated nerves to produce myelin: A quantitative ultrastructural and radiographic study. J. Neurocytol. 5: 565 573, l976. Bray, G.M., Rasminsky, M. and Aguayo, A.J. Interactions between axons and their sheath cells. Ann. Rev. Neurosci. 4: l27 l62, l98l. Villegas Perez, M., Vidal Sanz, M., Bray, G.M. and Aguayo, A.J. Influences of peripheral nerve grafts on the survival and regrowth of axotomized retinal ganglion cells in adult rats. J Neurosci. 8: 265 280, l988. Carter, D.A., Bray, G.M. and Aguayo, A.J. Regenerated retinal ganglion cell axons can form well-differentiated synapses in the superior colliculus of adult hamsters. J. Neurosci. 9: 4042-4050, l989. Vidal-Sanz, M., Bray, G.M. and Aguayo, A.J. Regenerated synapses persist in the superior colliculus after the regrowth of retinal ganglion cell axons. J. Neurocytol. 20: 940-952, 1991. Villegas-Perez, M.P., Vidal-Sanz, M., Bray, G.M. and Aguayo, A.J. Rapid and protracted phases of retinal ganglion cell loss following axotomy in the optic nerve of adult rats. J. Neurobiol. 24(1): 23-36, 1993. Mansour-Robaey, S., Clarke, D.B., Wang, Y.-C., Bray, G.M., and Aguayo, A.J. Effects of ocular injury and the administration of brain-derived neurotrophic factor (BDNF) on the survival and regrowth of axotomized retinal ganglion cells. Proc. Natl. Acad. Sci. USA 91: 1632-1636, 1994. Berkelaar, M., Clarke, D.B., Wang, Y.-C., Bray, G.M., and Aguayo, A.J. Axotomy results in delayed death and apoptosis of retinal ganglion cells in adult rats. J. Neurosci. 14: 4368-4374, 1994.